Our Ripper / Middle Buster Plow / Subsoiler Plow / Potato Plow is the perfect sub compact tractor attachment for super deep soil conditioning and installing wire or water lines. 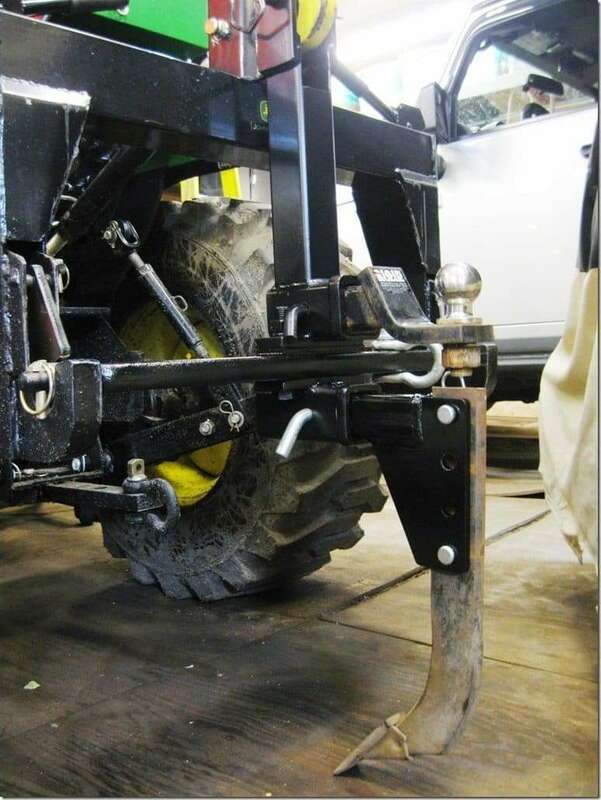 This 3 Point Ripper has multiple depth settings and is quick and easy to adjust based on your plowing needs. The 5/8″ Grade 2 bolts provide breakage protection and will sheer if you hit an immovable object. 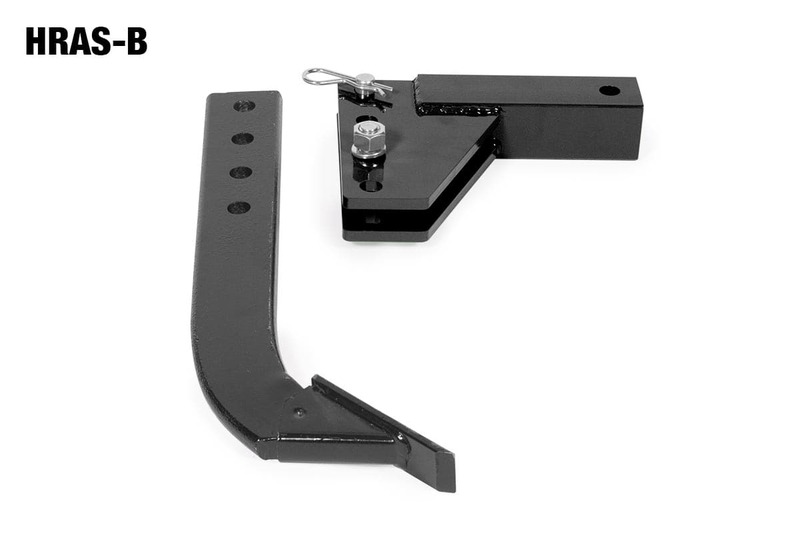 Compatible with Category 0 and Category 1 3 point hitches with 2” receiver adapters. Choose your options (Standard Shank or Combo Shank) and color preferences (John Deere Green, Black or Kubota Orange) when ordering. Standard length shank is 18”. Optional combo shank is 28″ long, T1 steel and comes with a bolt-on 11″ furrower / ditcher / potato plow as well and replaceable ripper tooth. Please call us 1-888-337-8999 or email us if you have any questions. Took a chance and bought the $99 standard shank to loosen clay soil in my yard. This thing is built on old American standards – well made, solid materials – and does exactly what it is supposed to. The only thing I didn’t see in the package was a piece of paper advising which grade of bolt to replace the sacrificial one with should the ripper hook into a large root or rock, and shear, as it is designed to – but I just took it the local farm store and matched the grade code on the hexhead. Glad I did not but the one at the local tractor store – reviews of those indicated they bent easily or simply broke – and cost more! 100% full satisfied customer. 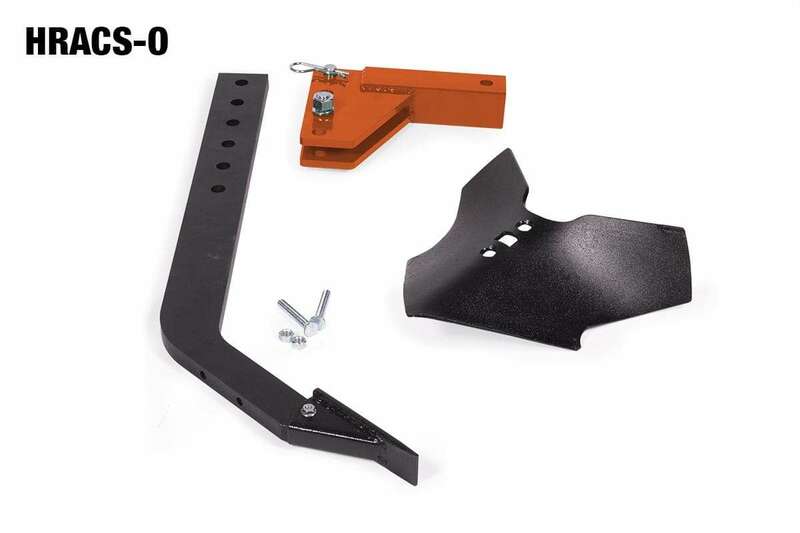 If you need a ripper/subsoiler – LOOK NO FURTHER! I found this to be the perfect compliment to my rototiller. A pass every 24” finds most of the things that I wouldn’t want to run my expensive tiller across. I like that it is easier to store than a dedicated 3 point ripper. Very well built, works great if the ground isn’t frozen solid, just couldn’t wait to try it. They make great stuff but twice now had ordering or shipping issues. This time it was removing an already accepted coupon code AFTER it showed the discount in cart and hitting proceed to finalize. Only $9 but still it’s the point you know? Sorry to hear about the issue with the discount code. Some discount codes are single use only and that may have been the issue. I went ahead and refunded back the amount of the discount and apologize for the inconvenience. Ok, pretty impressive. So along with great product as always, an example of great customer service. And handled right away over the weekend too. Heavy Hitch just earned my future business. Please change my rating to five stars. Thank you. Question about Shear Bolt Replacement. Where can I find or order a replacement? I do not expect to bend/or break these but it makes sense to have a replacement available. Where can I order replacement Shear Bolts?